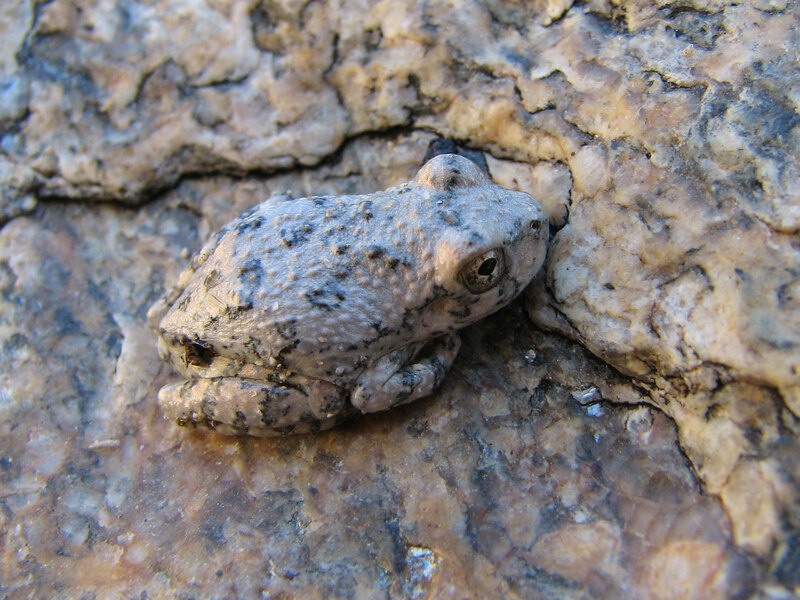 Hyla arenicolor (Canyon Treefrog) is a species of amphibian in the family hylid frogs. It is found in the Neotropics and the Nearctic. Definition: A life cycle characterized by having a larval phase. The larval phase is typically distinct in form and is followed by metamorphosis into an adult. Definition: An oak woodland is a woodland which has a tree community primarily composed of oak trees.